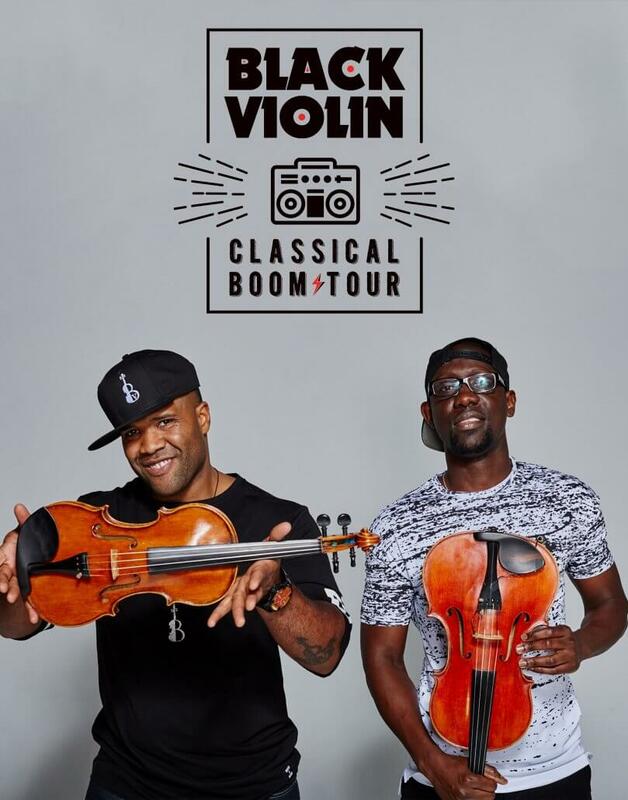 Black Violin plays a genre-shattering blend of classical, hip hop, rock, R&B, and bluegrass music. Since their start over a decade ago, viola player Wil B and violinist Kev Marcus have performed an average of 200 shows a year in 49 states and 36 countries as far away as Dubai, the Czech Republic, and South Africa, and they’ve appeared at official NFL celebrations for three Super Bowls and the U.S. Open with Jordin Sparks. Their groundbreaking collaboration has seen them play for everybody from the troops in Iraq to both the official President’s Inaugural Ball and the Kids’ Inaugural in Washington, DC, where President Barack Obama himself gave each a hearty handshake. Bring the whole family for this unique musical experience! To learn more about Black Violin, visit blackviolin.net. Doors open at 7, show begins at 8.